According to Human Rights Watch (HRW), Saudi officials are seeking the death penalty against five activists in the kingdom's Eastern Province.HRW says the five are on trial in a secretive terrorism court on charges "solely related to their peaceful activism".The group includes female campaigner Israa al-Ghomgham, who has been held in prison along with her husband since 2015.She is described as an activist well-known for participating in and documenting mass demonstrations against discrimination faced by the Shia minority in the country.The detained group is next due in court at the end of October. HRW says they are accused of "participating in protests", "incitement to protest", "chanting slogans hostile to the regime", "attempting to inflame public opinion", "filming protests and publishing on social media" and "providing moral support to rioters".The NGO says Ghomgham is the first female activist to possibly face the death penalty for her human rights-related work, adding it sets a "dangerous precedent".Saudi Arabia's crown prince Mohammad bin Salman is chasing a "Vision 2030" programme of reforms in the country, with the kingdom having recently lifted a ban on women driving.However, human rights groups have accused Saudi rulers of a crackdown on female activists in the run-up to the lifting of the ban in June.HRW's Middle East director Leah Whitson said: "Any execution is appalling, but seeking the death penalty for activists like Israa al-Ghomgham, who are not even accused of violent behavior, is monstrous. 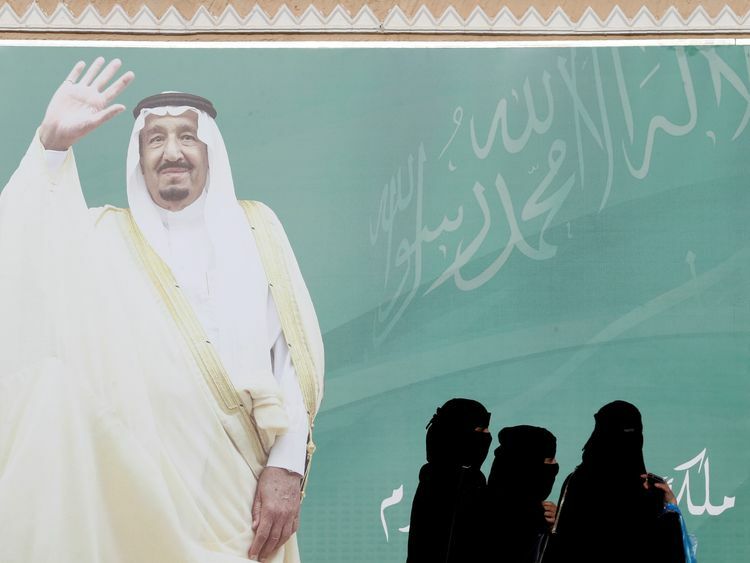 "Every day, the Saudi monarchy's unrestrained despotism makes it harder for its public relations teams to spin the fairy tale of 'reform' to allies and international business." 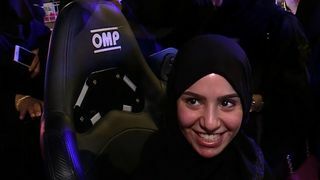 Samah Hadid, Amnesty International's Middle East director of campaigns, said: "We are urging the Saudi Arabian authorities to drop these plans immediately. "Sentencing Israa al-Ghomgam to death would send a horrifying message that other activists could be targeted in the same way for their peaceful protest and human rights activism. "The charges against Ghomgam, which mostly relate to her peaceful participation in protests, are absurd and clearly politically motivated to silence dissent in the Eastern Province of Saudi Arabia. "Saudi Arabia is one of the world's most prolific executioners and the world cannot continue to ignore the country's horrific human rights record. "We call on the international community to put pressure on the Saudi Arabian authorities to end the use of the death penalty. "A Foreign Office spokesperson told Sky News they are "following developments in this case closely" adding: "The UK government opposes the death penalty in all circumstances and in every country. "Meanwhile, Amnesty International UK is organising a protest outside the Saudi embassy in London, where female drivers will beep their horns and bring traffic to a standstill on Thursday.The demonstration will mark 100 days since the detention of Loujain al-Hathloul, Iman al-Nafjan and Aziza al-Youssef, all said by Amnesty to have campaigned against the driving ban.It is one of a number of protests being staged by Amnesty across the world over the next month, with demonstrations also expected to take place across Belgium, France, Norway and Spain.Sara Rydkvist, Amnesty UK's campaigns manager, said: "Saudi Arabia's so-called reforms are a sham - the UK government must be bold in showing solidarity with brave women standing up for human rights by publicly condemning their arrest and calling for their release. "The relentless crackdown on human rights defenders in Saudi Arabia will not be met with silence. "Speaking in Washington on Tuesday, Foreign Secretary Jeremy Hunt praised the UK's "close" relationship with Saudi Arabia.